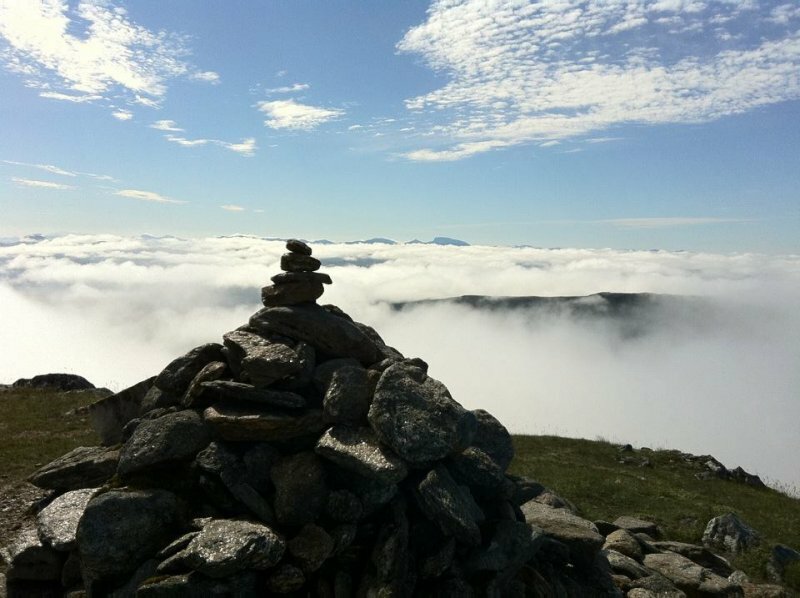 Creag a' Mhaim is the most easterly and traditionally the first climbed of the 7 Munros on the 14km South Glen Sheil Ridge. The ridge has steep slopes to the S and is very craggy with many corries to the N. The traverse of the ridge follows the scalloped rims of the corries between peaks. The ridge may be climbed in two sections E and W but individual peaks are not easily accessed and do not require individual descriptions. NE aspect of Creag a' Mhaim, from the old Cluanie to Tomdoun road. 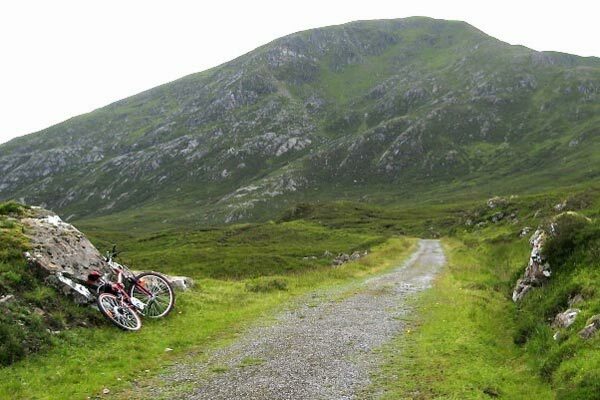 Steep cycling up the first part of the approach for an ascent on my afternoon of arrival, but the freewheel back to Cluanie was great! 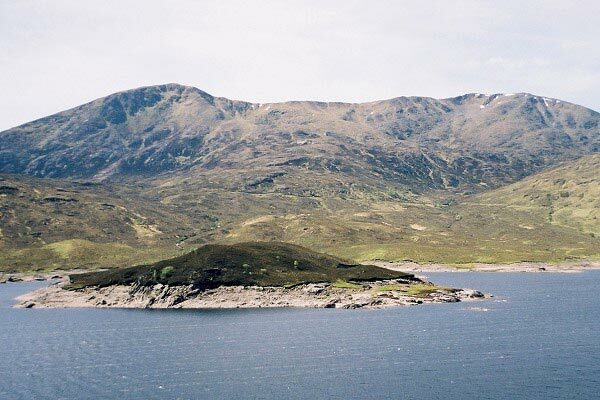 Creag a' Mhaim (left) and Druim Shionnach seen from the north-east across Loch Cluanie. The old Cluanie-Tomintoul road, flooded at the Loch Loyne causeway when the dam was built, cuts a diagonal line across their bases. 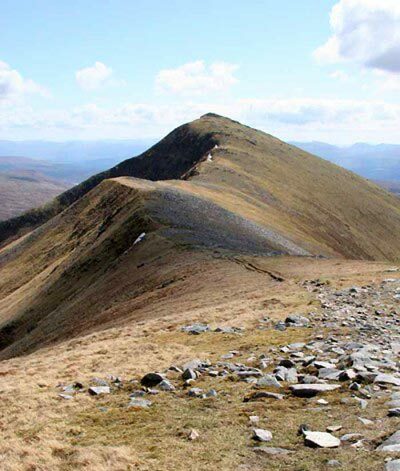 The summary information of one or more ascent routes that include Creag a' Mhaim. My only view for the week after rain and more rain. Cluanie Inn in the background. 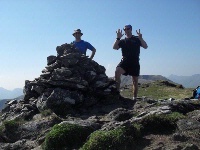 karl and me on final summit...now down for a hard earned pint at the Cluanie Inn, 28,5,12. 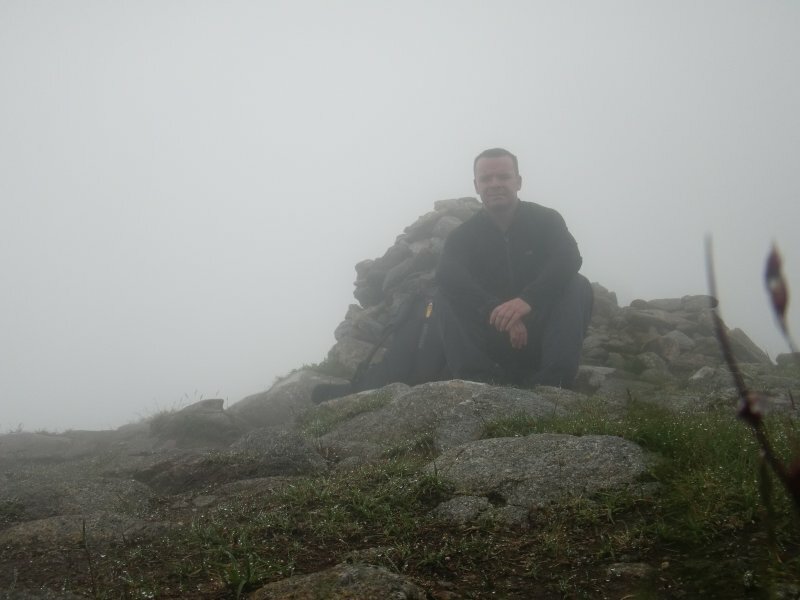 Post a few words about Creag a' Mhaim or read what others have had to say. The Cameron McNeish book (which we all have) advises following the stream up to the summit ridge. 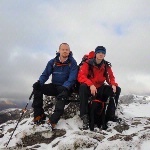 I disagree - the obvious broad ridge which is to the East (or left) of the the advised route will give an easier and much drier approach to the summit. Being the first or the last munro depending on which way you walk the ridge, it has a more open aspect, so giving some really great views to the east.